North Korea has threatened to go beyond carrying out its promised third nuclear test, KCNA state news agency reported. "The DPRK (Democratic Peoples Republic of Korea, or North Korea) has drawn a final conclusion that it will have to take a measure stronger than a nuclear test to cope with the hostile forces' nuclear war moves that have become ever more undisguised," the media agency said. Pyongyang did not spell out which actions it would take. It comes after sanctions were placed on North Korea by the UN Security Council, following a December long-range rocket launch. The launch was in violation of UN resolutions which banned the country from developing missile or nuclear technology after nuclear tests in 2006 and 2009. 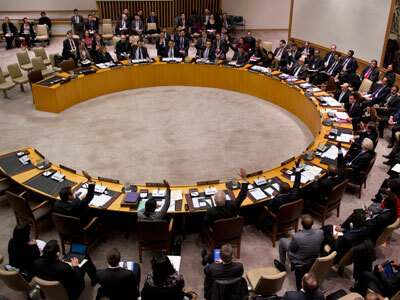 The December launch was met with a UN Security Council resolution, which demanded North Korea abandon its nuclear weapons program in a "complete, verifiable and irreversible manner," as well as Pyongyang cease rocket launches. 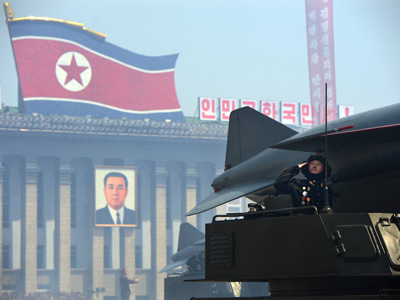 Pyongyang says that it has the right to launch rockets for peaceful purposes. 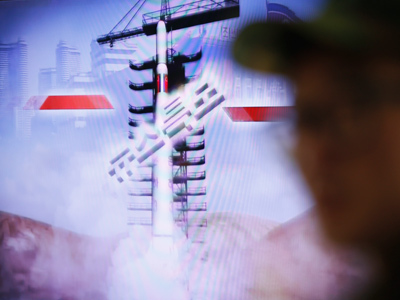 Last month, North Korea announced it would carry out a third nuclear test and more long-range rocket launches, which it says are designed to target the United States. During the announcement of the third nuclear test on January 24, North Korea’s National Defense Commission was clear about the test’s ambition. "We are not disguising the fact that the various satellites and long-range rockets that we will fire and the high-level nuclear test we will carry out are aimed at the United States," the commission said. Satellite pictures indicate that the country has been readying its nuclear test site for more than a year. While most experts believe the nuclear test will take place, the timing is not yet known. 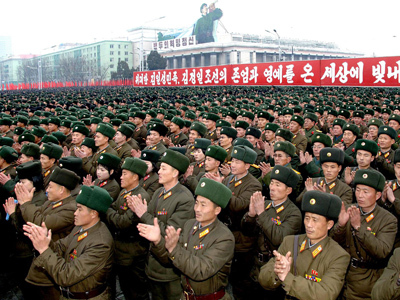 Many believe it could come around February 16 – the anniversary of former leader Kim Jong-il's birth. Last Saturday, the North tried once again to make its position on Washington known – by uploading a video on YouTube which depicted a US city resembling New York engulfed in flames. 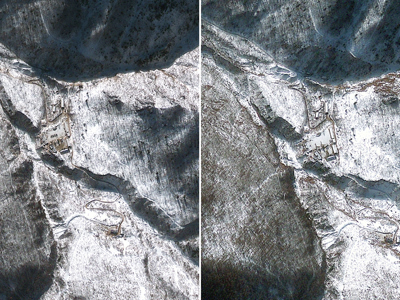 The footage was uploaded by North Korea's official website, Uriminzokkiri, which distributes news from the state media. The video is shot as a dream sequence, with a man seeing himself on board a North Korean space shuttle launched into orbit by the same type of rocket launched by Pyongyang in December. The picture zooms onto countries below, showing a re-united Korea. It then switches to a US city, with its skyscrapers – including what appears to be the Empire State Building – on fire or in ruins. The caption across the screen implies that the disaster was inflicted by America. "Somewhere in the United States, black clouds of smoke are billowing…it seems that the nest of wickedness is ablaze with the fire started by itself," the caption says. The video ends with the man concluding that his dream will "surely come true." "Despite all kinds of attempts by imperialists to isolate and crush us…never will anyone be able to stop the people marching toward a final victory," the video says. Earlier Tuesday, South Korea's ambassador to the United Nations said a North Korean nuclear test "seems to be imminent." Kim Sook said there were "very busy activities" taking place at North Korea's nuclear test site "and everybody's watching." The ambassador said that he expects the UN Security Council to respond with "firm and strong measures" in the event of a nuclear test. 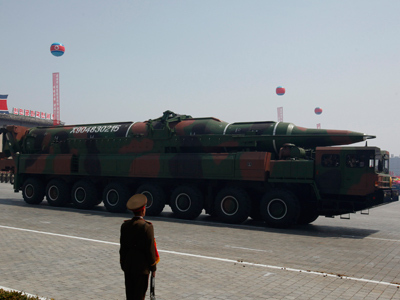 There is speculation from the South Korean side that two nuclear tests may take place simultaneously.